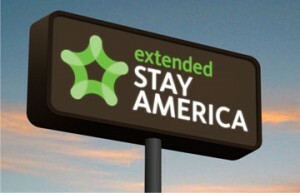 Extended Stay Hotels has more than 680 properties under brands like Extended Stay America and Homestead Studio Suites. Bloomberg is reporting that they filed bankruptcy on June 15th because they are ‘significantly over-leverged and the projected cash flows cannot continue to service over $7 billion in debt’. Extended Stay Hotels employs about 10,000 people. This entry was posted in News & Notes and tagged hotel bankruptcy, hotels news by TrueGuest. Bookmark the permalink. the feds will inflate their way out of debt. the rest of us must grin and bear it.